For those with little or no knowledge of black studies, the text’s deployment of terms like “fugitivity” and “undercommons” may seem baffling. 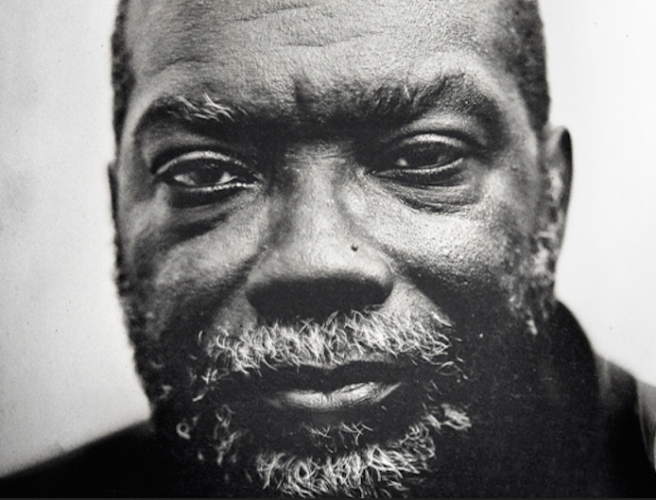 To those in the circle, however, this lexicon of continental philosophy, remixed with a poetic and prophetic fire resembling Amiri Baraka’s, bears the signature of one of the most brilliant practitioners of black studies working today: the scholar and poet Fred Moten ’84. Moten is best known for his book In the Break: The Aesthetics of the Black Radical Tradition (2003). “The history of blackness is testament to the fact that objects can and do resist,” is the book’s arresting opening sentence, announcing his major aim: to rethink the way bodies are shaped by aesthetic experience. In particular, he explores how the improvisation that recurs in black art — whether in the music of Duke Ellington and Billie Holiday, the poetry of Amiri Baraka and Nathaniel Mackey, or the conceptual art of Adrian Piper — confounds the distinctions between objects and subjects, individual bodies and collectively experienced expressions of resistance, desire, or agony. Since 2000, Moten has also published eight chapbooks of poetry, and one, The Feel Trio, was a finalist for the National Book Award in 2014. He is that rare literary figure who commands wide and deep respect in and out of the academy, and who blurs the line between poetics as a scholarly pursuit, and poetry as an act of rebellious creation, an inherently subversive activity. This past fall, Moten took up a new position in the department of performance studies at New York University’s Tisch School of the Arts, arriving from Los Angeles and a teaching appointment at the University of California at Riverside. In early September, his office was still a bare room with a single high window looking out over Broadway. He hadn’t had a chance to unpack his library, but already a small stack of books on jazz theory, performance, and quantum mechanics rested in a pile near his desk. It soon became clear, however, that he is the kind of thinker who keeps all his favorite books in his head, anyway. His Paul Laurence Dunbar is always at his fingertips, and he weaves passages from Karl Marx, Immanuel Kant, or Hortense Spillers into his conversation with equal facility. When he’s speaking before an audience, no matter the size, he never raises his voice; a hush comes over the room and remains in ambient tension, like a low flame. On the occasion of John Ashbery’s ninetieth birthday last July (just months before his passing), Moten collaborated in a celebratory recording of Ashbery’s long poem, Flow Chart. Ashbery was always a great reader of his own work, but it was thrilling to hear the sly affection with which Moten took the verse uptown, bending its notes with his Lenox Lounge delivery. The same qualities come out when he reads from his own poetry, always brimful of quotations from the songbook of black America. His poem, “I got something that makes me want to shout,” for example, consists of riffs that build off quotations from a celebrated funk record, each quote set off just enough and in just such a way —“I got something that tells me what it’s all about” — that when he lands on the last line of the poem — “I got soul, and I’m super bad” — he’s fully sublimated a James Brown groove. The line between poetry and song quivers, the “high” lyric gets down with the low, and the Godfather of Soul’s declamation of Soul Power boomerangs back to us as poetry, which is what it always was. Moten was born in Las Vegas in 1962. His parents were part of the Great Migration of blacks out of the Deep South who moved north and westward to big cities like St. Louis and Los Angeles. By the 1940s and 1950s they were also being drawn to Las Vegas, and the opportunities offered by the booming casinos and military bases established during World War II. “A lot of people don’t realize it, but Vegas was one of the last great union towns,” Moten says. Jobs within the gaming industry were protected by the Culinary Union, and with a union check, even casino porters and maids could save up to buy a house — “at least on the West Side,” the city’s largely segregated black community where he was raised. Moten’s father, originally from Louisiana, found work at the Las Vegas Convention Center and then eventually for Pan American, a large subcontractor for the Nevada Test Site where the military was still trying out its new atomic weapons. His mother worked as a school teacher. (She appears often in his poetry as B. Jenkins, also the title of one of his finest collections.) Her path to that job was a steep climb. Her family was from Kingsland, Arkansas, and had committed themselves against all odds to obtaining education. Her own mother had managed to finish high school, says Moten, who remembers his grandmother as a woman with thwarted ambitions and a great love of literature. She’d wake him up in the mornings by reciting poems by Dunbar and Keats she’d learned in high school. “And she was the one who was really determined for my mother to go to college,” he says. “She cleaned people’s houses until the day she retired, and in the summer and spring she would pick cotton.” Kingsland is the birthplace of Johnny Cash, and Moten’s family picked cotton on the property of Cash’s cousin Dave, a big landowner, to get the money together to send his mother to college. Degree in hand, she went to Chicago to teach in the public schools, but “someone basically told her she was too dark to get a teaching job in Chicago.” She hoped to have better luck in Vegas, but the schools were segregated there, too, and no one would hire her. “They used to call Nevada the Mississippi of the West,” Moten recalls. Jenkins took up domestic work, and it was only by chance that she found herself cleaning the house of a woman who was on the local school board, who helped her get a job at Madison Elementary School on the West Side, where she met Moten’s father. The West Side was a tightly knit community. Moten likens it to the village in the Toni Morrison essay “City Limits, Village Values,” where Morrison contrasts white fiction writers’ “Gopher prairie despair” with the affection black writers typically express for the intimate, communal life built around “village values”— even if that black village, like Harlem, say, is part of a larger city. “It seemed like everybody was from one of these tiny little towns in Arkansas. My mom’s best friends — their grandparents were friends.” Nevada was a small enough state, he says, that the West Side could swing tight elections, and much of Las Vegas politics in the early 1960s was concerned with national politicans’ positions on civil‐rights legislation. “So a few precincts in Las Vegas might make the difference between the election of a senator, Paul Laxalt, who probably wouldn’t vote for the Civil Rights Act, or the election of a Howard Cannon, who would, and my mom was deeply involved in all that.” Through her, politics and music became intertwined in everyday life. Moten also has strong memories of listening to KVOV, “The Kool Voice of Vegas.” “It was one of those sundown stations, you know, that shuts down for the night, and they had a disc jockey named Gino B. Soon as the sun started getting low, he would put on a bass line and start rapping to himself…bim bam, slapped‐y sam, and remember everybody life is love and love is life…that kind of thing, and everybody in town would tune in just to hear what he was going to say, and I loved that.” He also vividly recalls encountering certain LPs in the 1970s, like Bob Marley’s Rastaman Vibration and Stevie Wonder’s Innervisions—“those double‐gated record albums that had the lyrics printed on the inside, so you could sit and read while the music played overhead.” Aside from his grandmother’s love of it, he says, his first experience of poetry was music. Moten’s first surprise at Harvard was encountering a certain kind of black elite. “My growing up was a lot more like Good Times than it was like the Huxtables, and now I was in a school with a lot of Huxtables.” The even bigger shock was campus politics. At the same time, Moten was cultivating a relationship to campus literary life, joining The Harvard Advocate, where he met its poetry editor, Stefano Harney ’85 — forming a close and enduring friendship that has also evolved into an ongoing intellectual collaboration (Harney is co‐author of The Undercommons). Together, they took a class taught by David Perkins on the modernist long poem, reading William Carlos Williams’s Paterson, Robert Duncan’s “Passages,” and Ed Dorn’s The Gunslinger. “I was into that stuff, and Steve was, too, so we could cultivate our resistance to Vendler together.” Parties were off campus at William Corbett’s house in Boston’s South End, where fellow poets like Michael Palmer, Robert Creeley, or Seamus Heaney might stop in for dinner or drinks. Moten absorbed the possibilities of the scene but his poetic sensibility is that of the instinctive outsider, attracted to all those who dwell at the fringes and intend to remain there. In one of In the Break’s most transfixing passages, Moten reassembles a new set of meanings, or understandings, of the photograph of Emmett Till’s open casket. Why should that image, out of all others, have so much power — some even arguing, as he points out, that it triggered the mobilization of the civil‐rights movement? Why has it remained so charged and fraught, so haunting? “What effect,” Moten asks, “did the photograph of his body have on death?” His answer: captured within the image is the sexual panic occasioned by the sound of Till’s whistling, “ ‘the crippled speech’ of Till’s ‘Bye, baby,’ ” forever bound up in the moaning and mourning of a mother over her dead child. Looking at the photograph, Moten writes, “cannot be sustained as unalloyed looking but must be accompanied by listening and this, even though what is listened to — echo of a whistle or a phrase, moaning, mourning, desperate testimony and flight — is also unbearable.” Millions have viewed the photographs of Till’s open casket. His images have been infamously and controversially reproduced, looked away from, gawked at. Moten does with extraordinary care what most have never done for Till (or for so many other sons and mothers), out of ignorance, or fear, or shame — which is, of course, to listen. Moten is impatient with detractors who accuse him of difficulty and lack of clarity. Many writers once thought to be impenetrable are now considered canonical, he points out. “The critics I loved and who were influential to me were all weird: Empson, Burke, Benjamin, Adorno — they all had a sound, and it wasn’t like a PMLA, academic‐journal sound.” The other critics who influenced him, he continues, were poets: Charles Olson, Amiri Baraka, Nathaniel Mackey, and especially Susan Howe — who, he says, has a different understanding of how the sentence works. “Miles [Davis] said: You gotta have a sound. I knew I wanted to sound like something. That was more important to me than anything.” One could argue that Moten’s sound resonates with the “golden era” of hip‐hop of the late eighties and early nineties, when it was still audibly a wild collage of jazz, R&B, late disco and funk: “Styles upon styles upon styles is what I have,” the late Phife Dawg raps on A Tribe Called Quest’s celebrated 1991 album The Low End Theory. Taken together, Moten’s writings feel like a Charlie Parker solo, or a Basquiat painting, in their gleeful yet deadly serious attempt to capture the profusion of ideas in flight. For him this fugitive quality is the point. We are not supposed to be satisfied with clear understanding, but instead motivated to continue improvising and imagining a utopian destination where a black cosmopolitanism — one created from below, rather than imposed from above — brings folks together. Moten is not in the business of promoting optimism for the future, but he does not feel imprisoned by the past or bogged down in the present. Instead he is busy prodding about the little edges of everyday life as it is expressed by everyday people, the folkways of the undercommons. 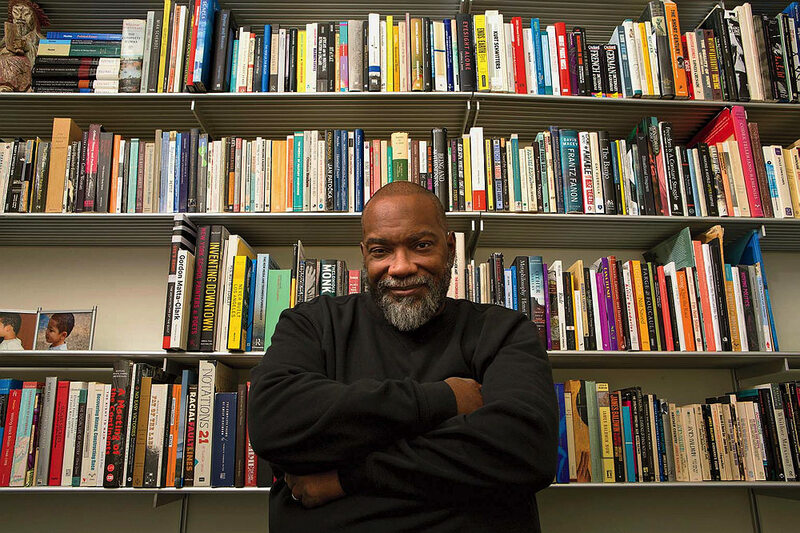 As his writings circulate within and beyond the classroom, so too does his version of theorizing from below, always seeking out sites where a greater humanity might unexpectedly break through.